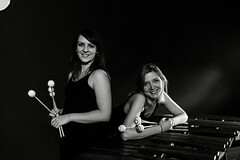 Dalbergia Duo is an unique female marimba/percussion duo from Poland, performing contemporary music written for two marimbas/percussion sets, established in 2017. In 2017 both artists obtained the Doctor degree in Performing Arts – percussion. 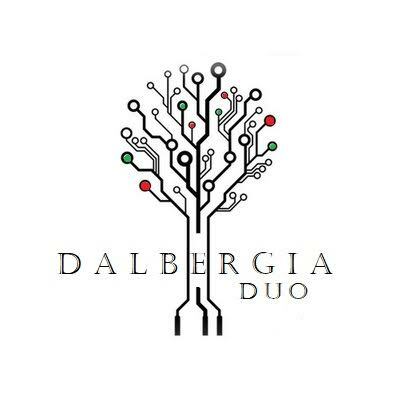 In April 2018 Dalbergia Duo won 1st Prize on International Master Competition for Music Teachers and we obtained recommendation from Polish Music Foundation for outstanding inerpretation of Polish works and in December 2018 Dalbergia Duo won 2nd Prize on International North Music Competition in Sweden, at chamber music category.Dalbergia Duo have performed in Poland (Musica Moderna Artistic Session) and Spain (2nd Agora Actual Percussio), Lithuania (Doctors in Performance) and Belgium. 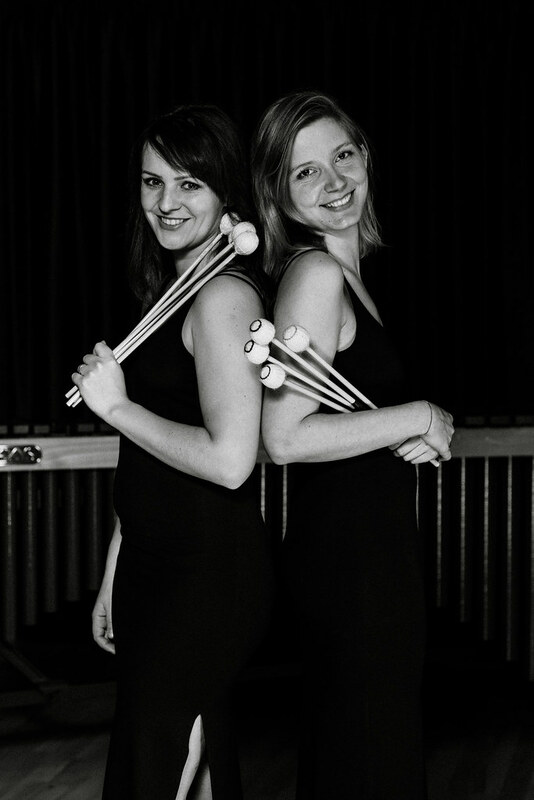 They had opportunity to be a part of great polish music festivals: 12th International Percussion Music Festival “Sources and Inspirations” in Cracow (PL), 14th “Mózg International Contemporary Music and Visual Arts Festival” in Bydgoszcz (PL), “Poznan Music Spring” Festival in Poznan (PL).If you are interested in cooperation with Dalbergia Duo, or would like to listen to other musical samples concerning marimba compositions – don’t hesitate to contact us! We would be more than happy to be a part of this amazing event. was a starting point of her career. 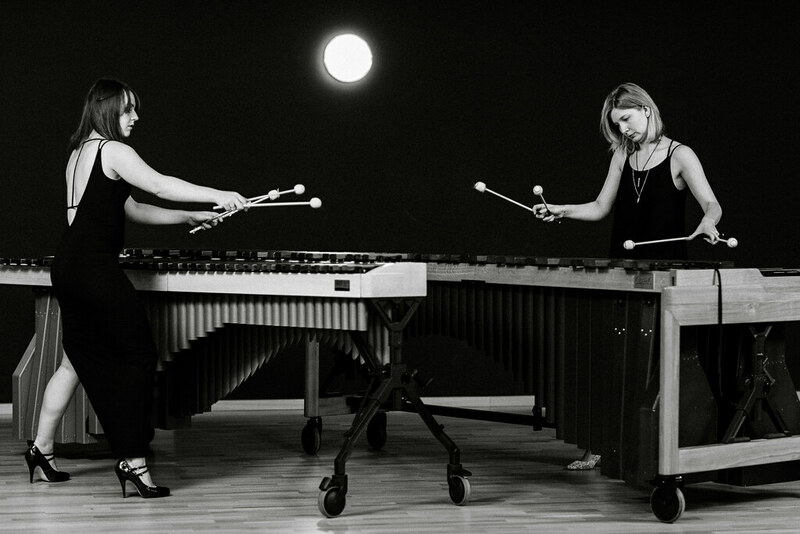 Anna Maria has had a chance to work with great people from contemporary marimba and percussion world like: Keiko Abe, Jean Geoffroy, William Moersch, Marta Klimasara, Peter Prommel, Katarzyna Myćka, John Beck, Ricardo Flores, Nippy Noya. 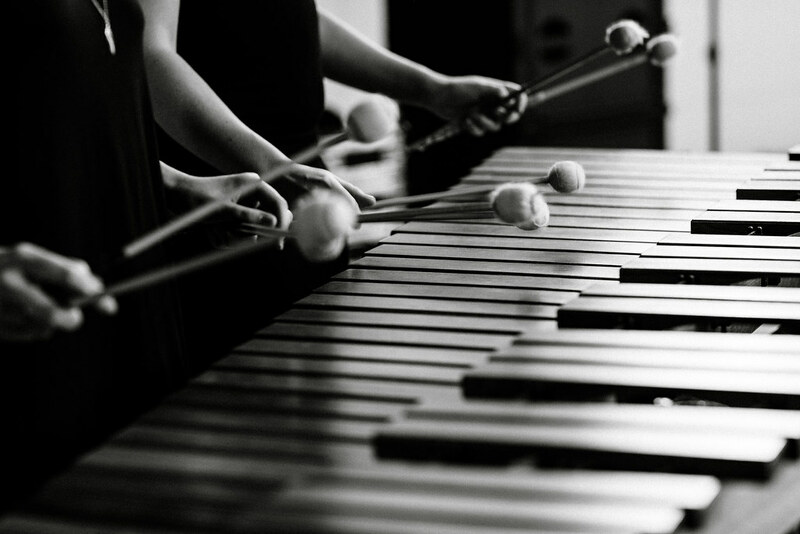 the academic degree of a PhD in Fine Arts for the doctoral dissertation on the influence of culture, traditions and arts of Japan on the works for marimba solo and chamber music by Japanese composers Keiko Abe, Minoru Miki, and Akira Miyoshi. like in Germany “BeethovenFest” (Bonn), Switzerland “KALIMA” (Lausanne), and the Netherlands “Uitgast” (Lelystad), and “Percussion Friends Chamber Music Academy” (Amsterdam). blend of impressions and expressions one can experience while her stage performances. Julianna Kamila Siedler-Smuga, PhD , graduated with honors from The Grazyna and Kiejstut Bacewicz Academy of Music in Lodz, with degree Master of Music. In 2014 she obtained Master in de Muziek degree (marimba podium) in marimba class of Ludwig Albert and Chin Cheng Lin at Koninklijk Conservatorium Antwerpen (Artesis Plantijn Hogeschool Antwerpen). In 2012 she continued education at doctoral studies in her alma mater. In academic year 2011/2012 she get in Erasmus Scholarship Programm and studied in Koninklijk Conservatorium Brussel, where she had plessure to meet and work under direction of G. Franҫois, B. Quartier and B. Bouckaert. 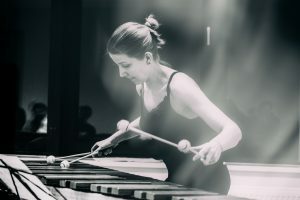 In 2013 she get to semifinals of International Marimba Competition in Opole, in 2014 she passed preeliminations to International Marimba Competition in Bamberg, she also took a part in the Yamaha Scholarship Competition 2013.As a soloist she can be spotted playing independent concerts and also during many festivals (inter alia: Musica Privata, Umami Live Berlin, Film Music Festival in Lodz, Musica Moderna), masterclasses and academies in Poland and abroad. She constantly develop her skills during various masterclasses with great teachers: inter alia: Tchiki Duo, S.Sakai, Axoum Duo, A.Caggiano, G.Jurczyk, W.Herzyk, S.Buranov, Nanae Mimura, Seung-Myeong Oh, Daniella Ganeva, Kuniko Kato, N. J. Živkovič, M.Ford, F.Macarez, Keiko Abe.Julianna during all years in her alma mater she was member of chamber music group Percussion Studio, she cooperated with Big Band of The Grażyna and Kiejstut Academy of Music in Lodz under direction of prof. J. Delong. 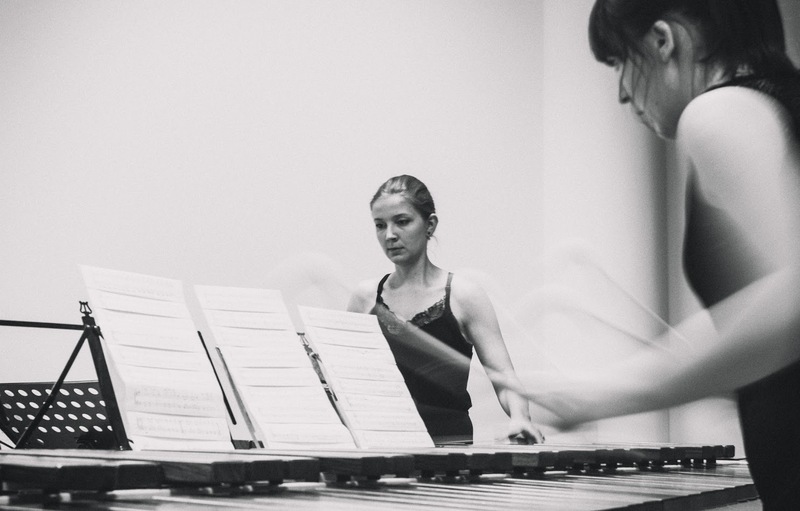 She is interested in contemporary music, that’s why she is constantly in contact with polish composers, which are creating new music: K.Knittel, A.Zagajewski, N.Fukuoka, W.Blecharz, T.Goliński, M.Śniady, M.Gładysiak, K.Krzewiński, A.Sowa. Julianna Kamila is still performing their compositions, they are writing music specially for her (e.g. K.Krzewiński – Glass Wood Plastic, N.Fukuoka – Belgian rare groove & breakbeat, A.Zagajewski – Solid). 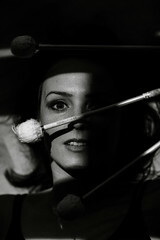 She also arrange music for her own use.During five years of her studies till now, she cooperated with professional orchestras as orchestral musician, intera alia: The Arthur Rubinstein Lodz Philharmonic Orchestra, Symphonic Orchestra of the Grand Theater in Lodz, Warsaw Chamber Opera Orchestra, Kalisz Philharmonic Orchestra. She played with great conducters, inter alia: D. Raiskin, M. Nesterowicz, M. Pijarowski, A. Boreyko, J. M. Florêncio, T. Wojciechowski, K. Penderecki, K. Kord, W. Michniewski etc. 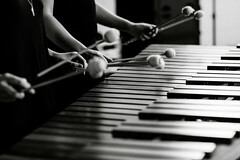 She performs various repertoire from classical, throught jazz music, film music, sonoristic music to contemporary music. 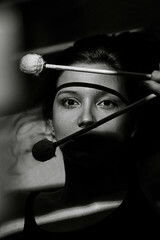 She is working also as timpani player in Chamber Orchestra Polish Camerata. 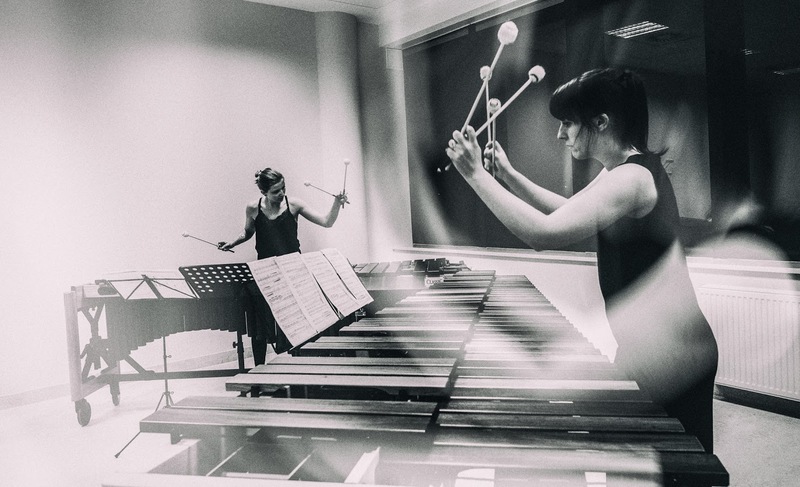 From academic year 2014/2015 she connect her two passions – for playing percussion and teaching, her success is reflected by winning prizes by her students at region and national area. 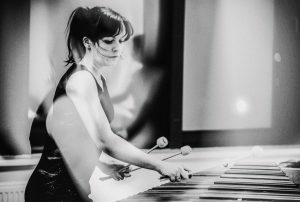 In June 2017 she obtained PhD degree in music arts (percussion), defended thesis written under direction of prof. Grzegorz Jurczyk. 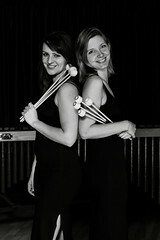 Julianna is a member of Polish Percussion Teachers Association and german Marimba Festiva Association.